Alice walked through the meadow, plucking wild flowers along the way. The farmer plucked the feathers from the chicken. The child had fallen into the pond, but a passerby plucked her out. Steve plucked the strings of the guitar. Amber gave the rope a pluck to signal that she wanted to be pulled up. It took a lot of pluck to stand up to that bully. Plucky Duck is a Warner Brothers cartoon character from the 1990s TV show Tiny Toon Adventures. Watch him here as he tries to persuade film director Tim Burton to cast him (ie, let him act) as Batman. That sure takes a lot of pluck! 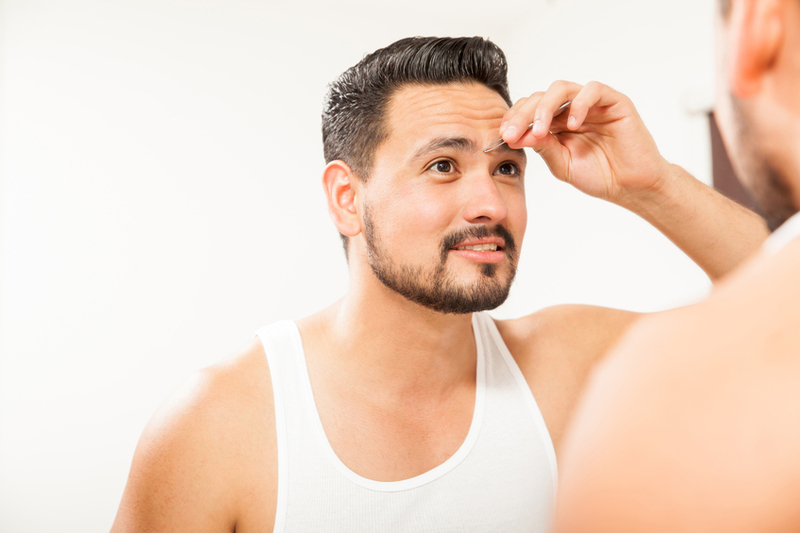 You are probably familiar with people using tweezers to pluck their eyebrows, but there are also other techniques for removing these unwanted hairs, such as waxing, where hot wax is applied to the area where the hairs are, then pulled off with strip of fabric or paper. With threading, a technique that comes from Asia, a thin thread, or string, is twisted and rolled over the unwanted hairs, removing several at a time. Pluck dates back to before the year 1000, as the Old English verb pluccian (to pluck), and later the Middle English verb plukken. It is related to the Middle Low German plucken, as well as to the modern verbs plukken, in Dutch, and pflücken, in German.